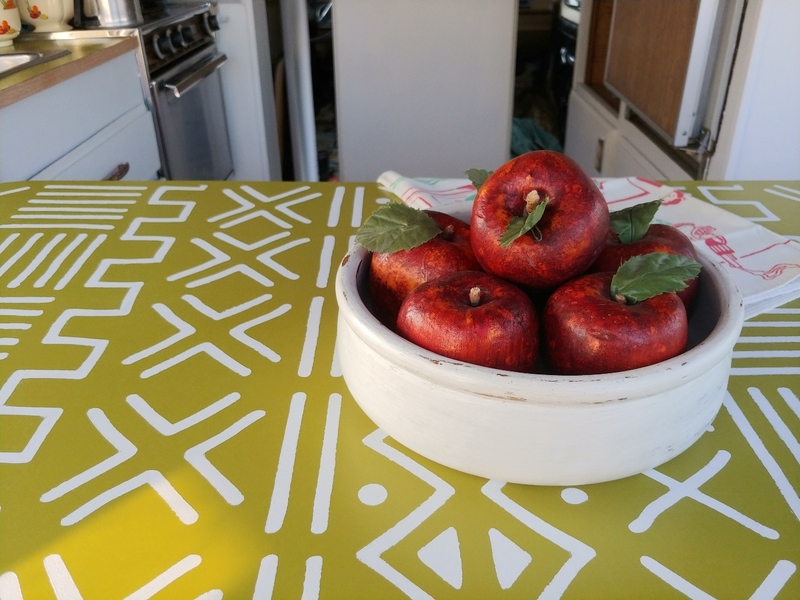 Thank you to StencilsLAB for partnering with me to bring you this RV makeover post! 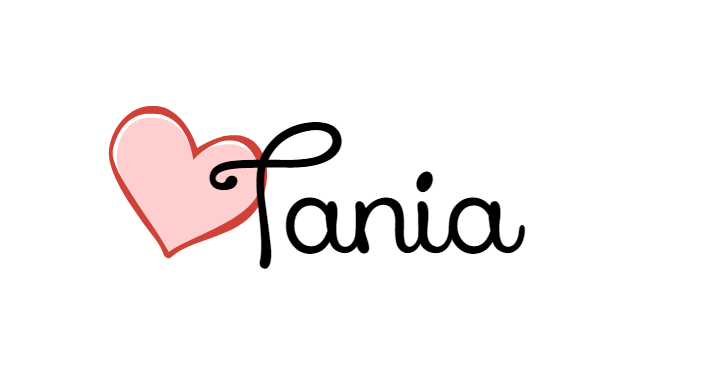 Financial compensation was not received for this post, a sample product was gifted. 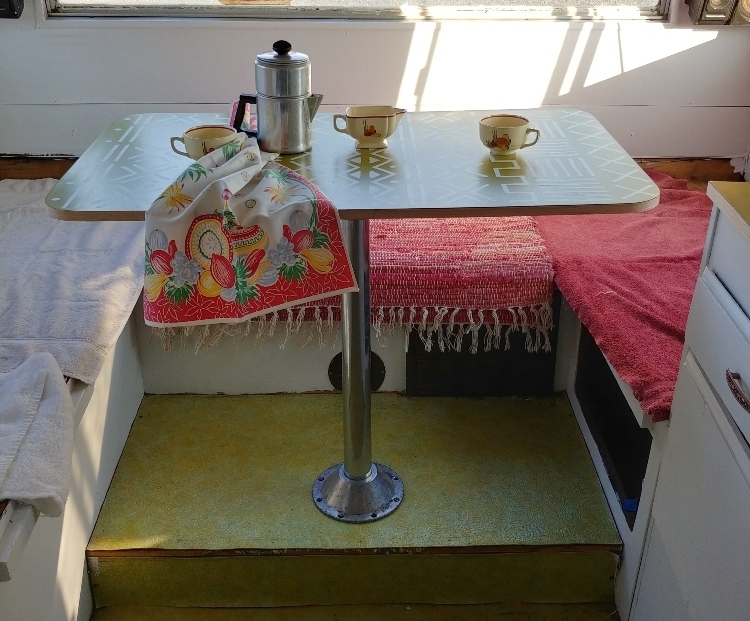 Ideas and opinions expressed here are my own. 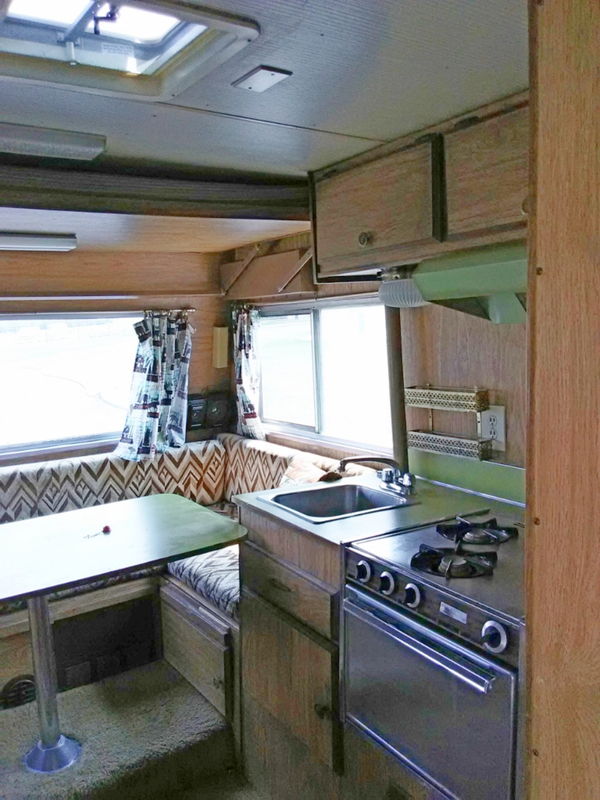 If you saw my RV Mood Board for Bertha then you know that I am keeping her original avocado colored counters and table. 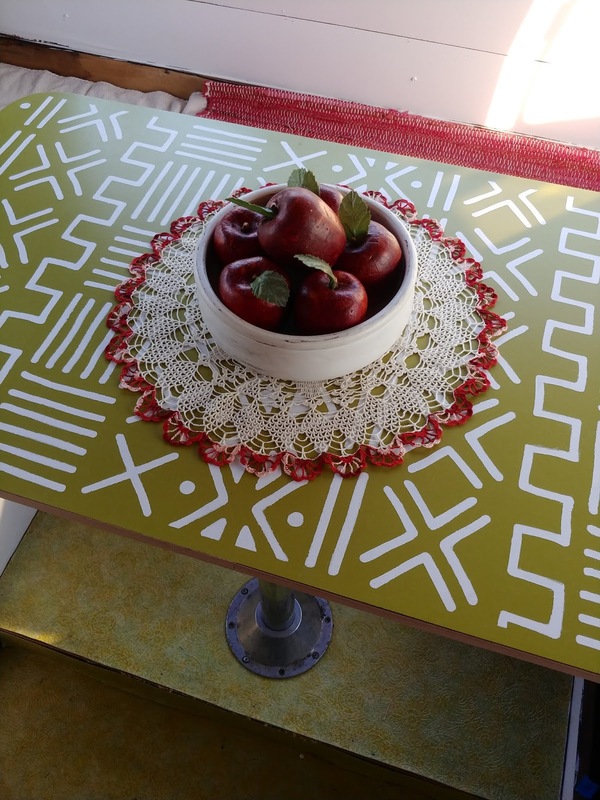 I did want to give the table a little a little pizazz though so I thought it would be fun to try stenciling it! 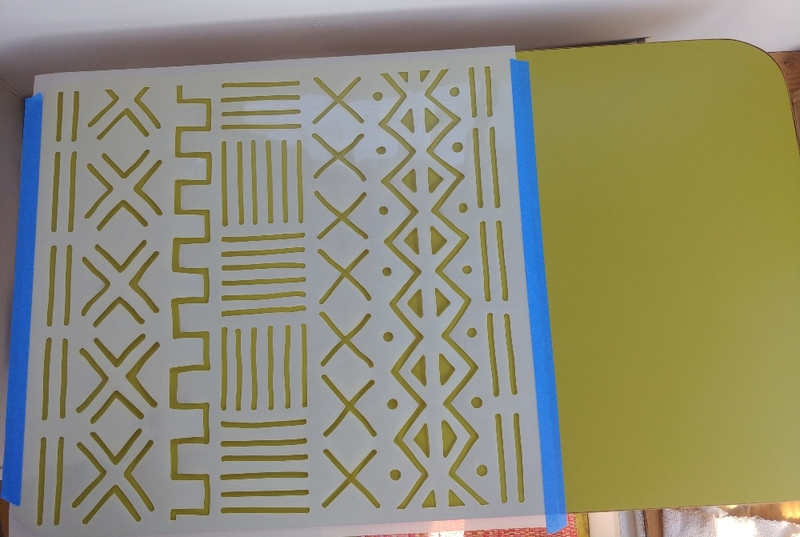 I reached out to StencilsLAB and they sent me their EFIA Tribal All Over Wall Stencil! 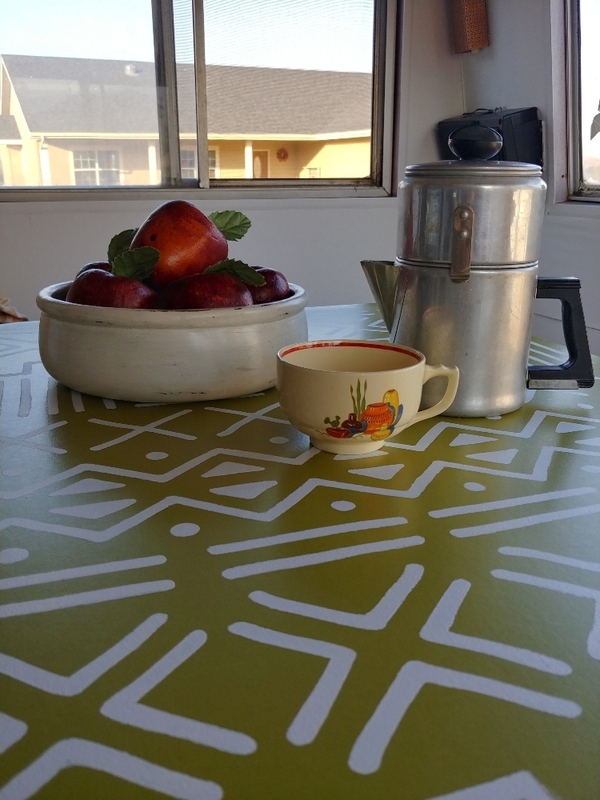 To get started with my project I made sure to clean the table really well and then taped the stencil down onto the table. 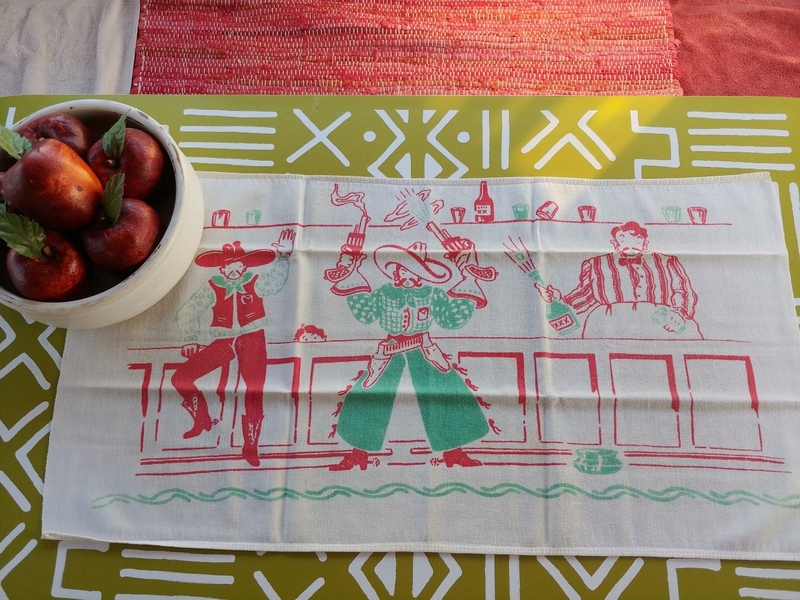 One of the nice things about their stencils is how large they are! 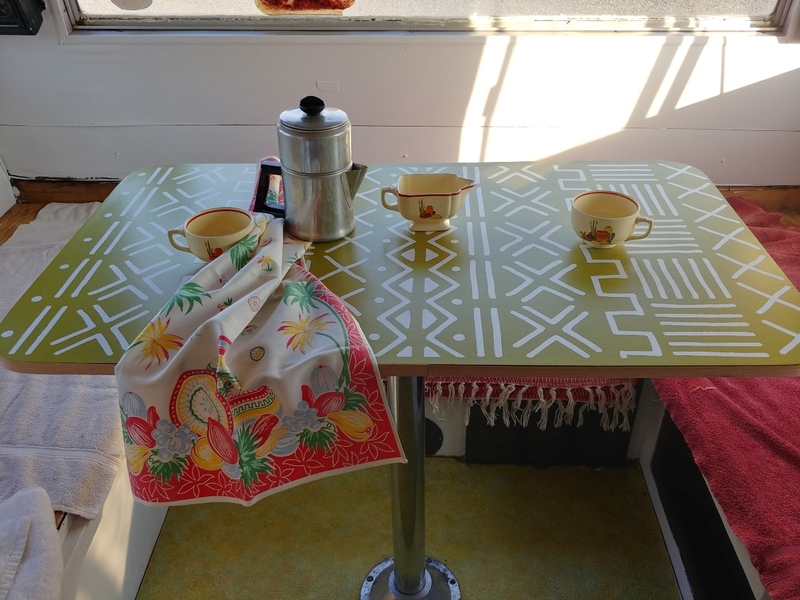 I was able to stencil the whole table and only repositioned the stencil one time! 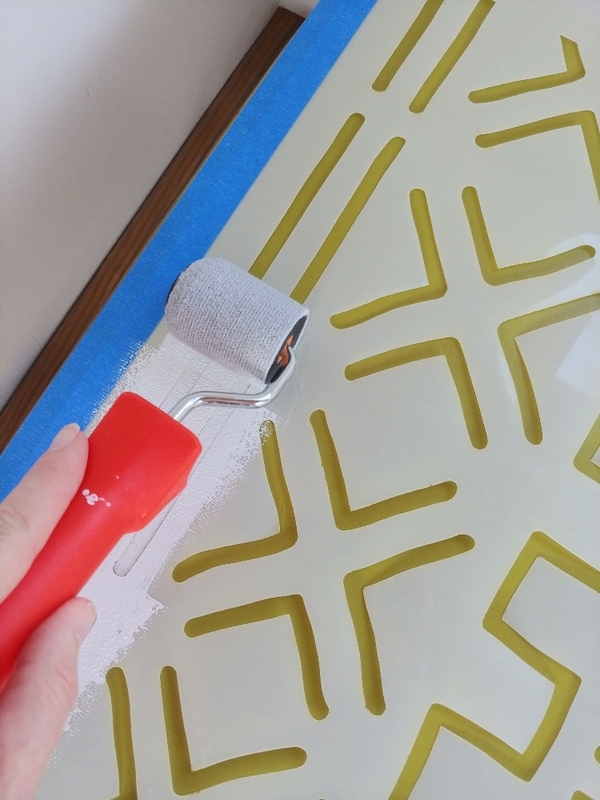 I used a tiny paint roller rather than a traditional stenciling brush. 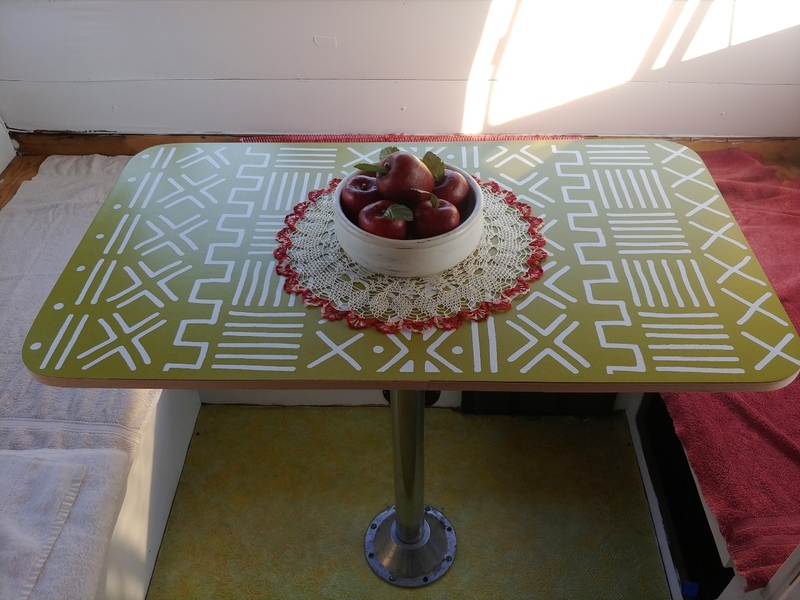 I thought it would work better and avoid excessive bleeding of the paint since the table is a slick surface. 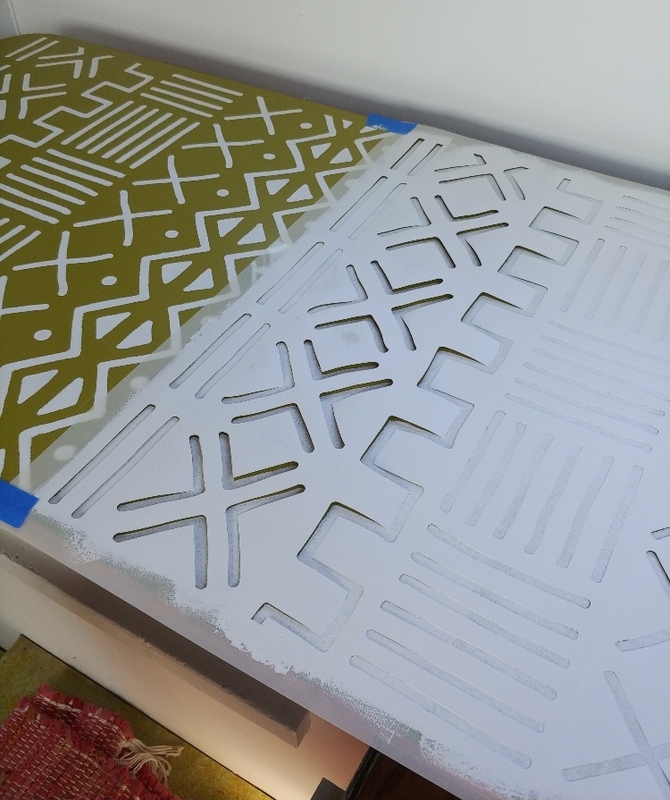 The trick with either application method (stencil brush or roller) is to keep the applicator very dry as you are working. So, I rolled the roller into the paint and then rolled it onto a paper towel first. 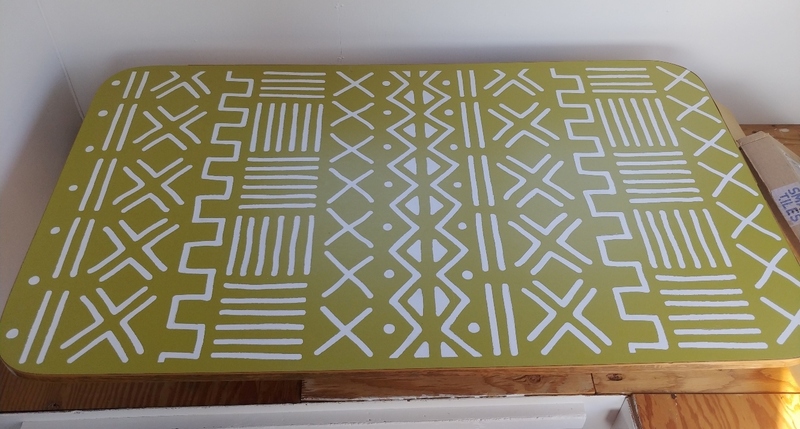 Once I finished the first half of the table, I repositioned and matched the pattern on the stencil to finish the second half. 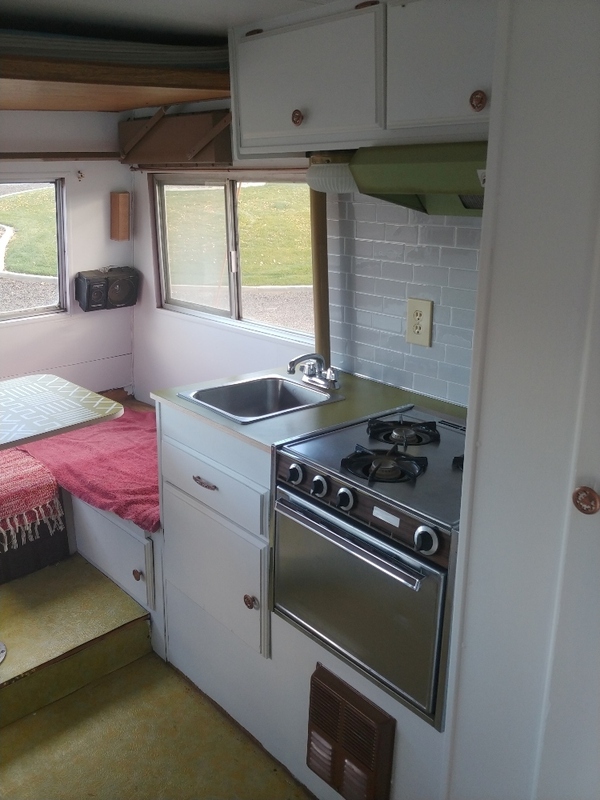 I used the same paint that I used on the walls. 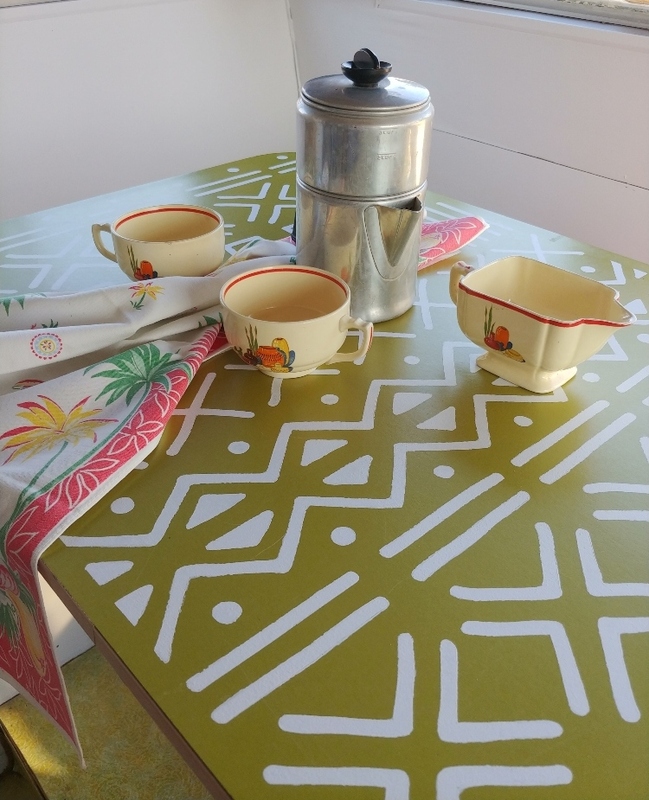 I picked a stencil that has a boho vibe to it to match the design plans I have for Bertha and I love this pattern! 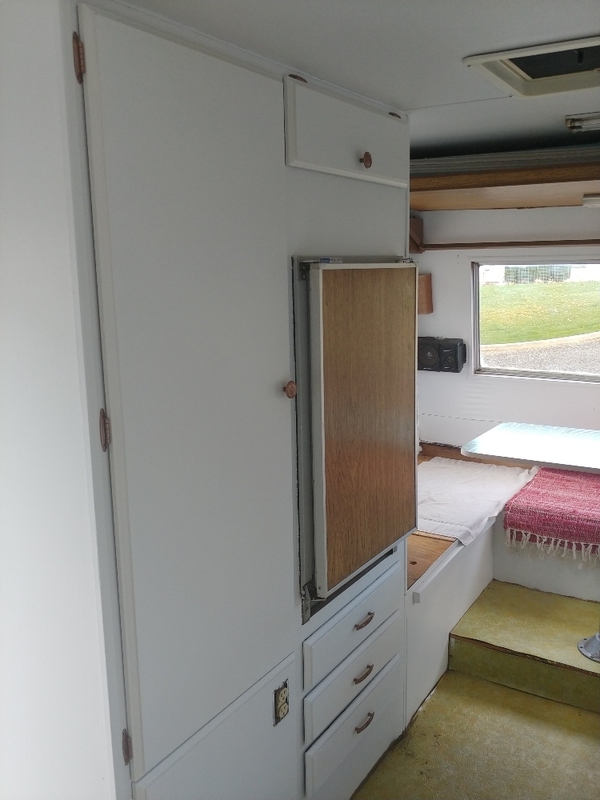 Once the stenciled design had dried completely (I actually gave it a week to cure but that's mostly because I only work on her on the weekends) I gave it 4 coats of poly to protect it from getting scratched up. And of course one of the fun things about finishing a project is shopping my mom's vintage collections for pictures afterward! 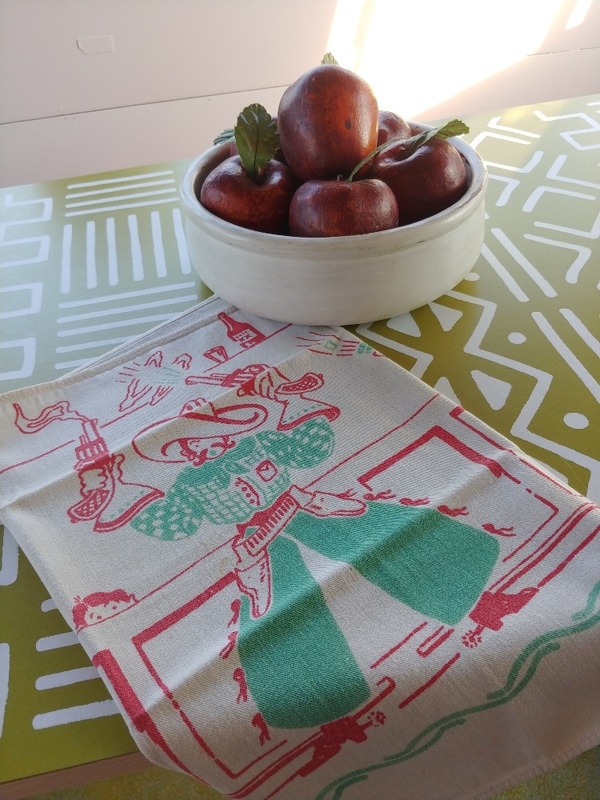 What do you think of this adorable little bar towel?! 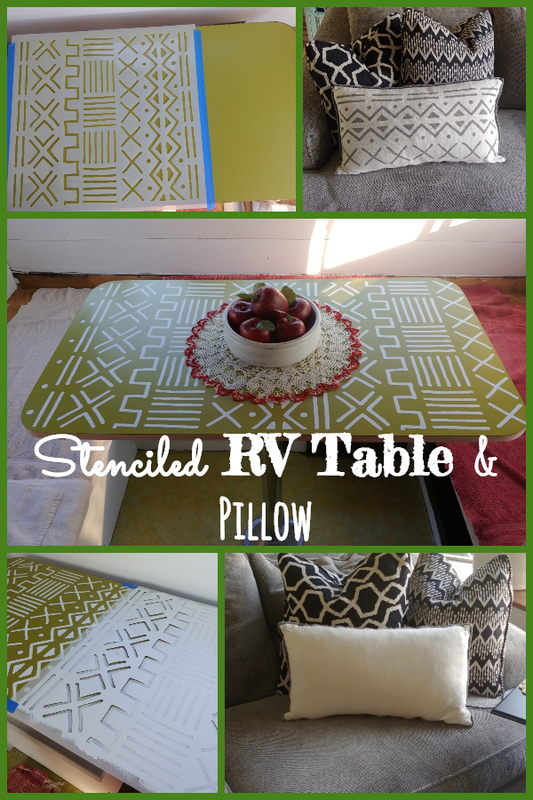 As the title of this post indicates I also created a pillow with this stencil and made a little video for your viewing pleasure 😀 Don't judge me, I'm still a beginner videographer!! 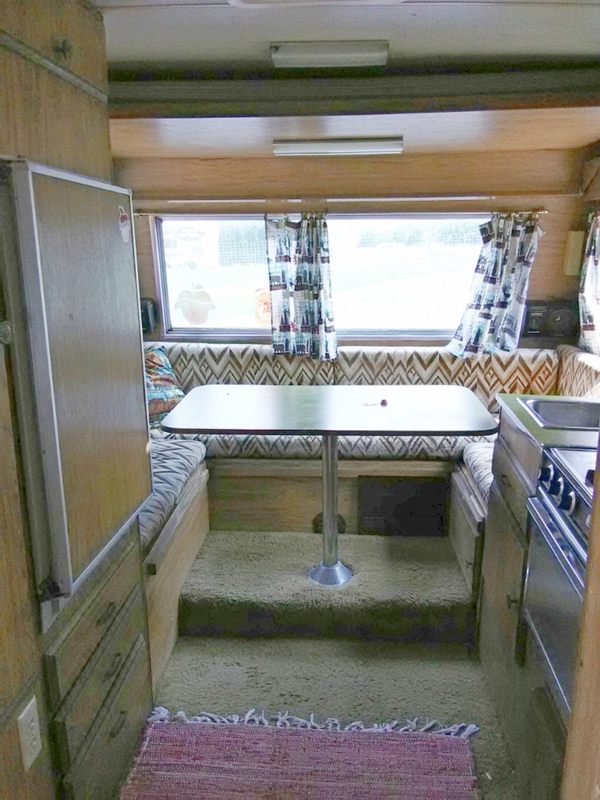 Here are a couple of before and after shots that show Bertha's light and airy new paint job too! 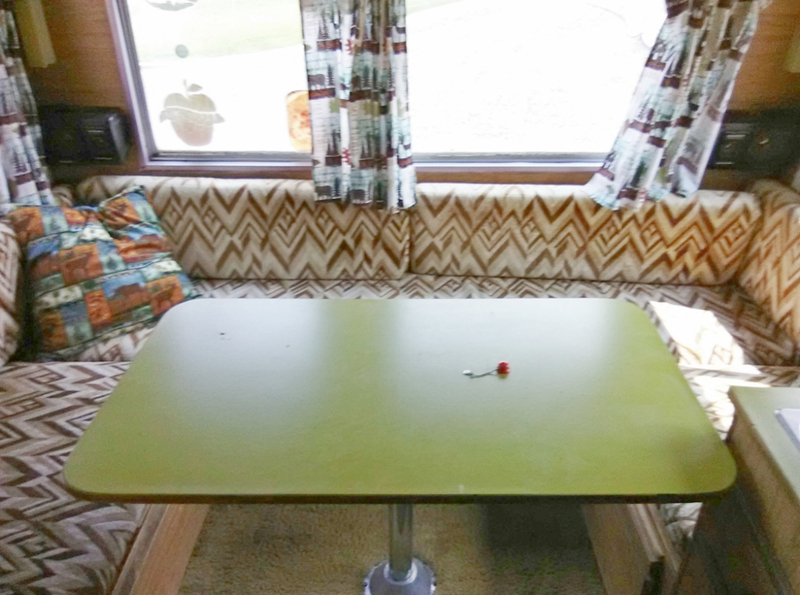 And how about that awesome new table one more time? ?